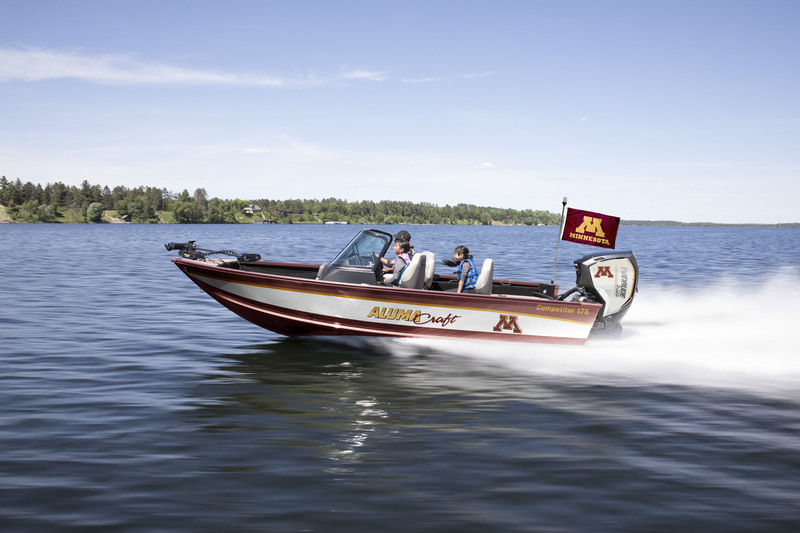 MINNEAPOLIS – Gopher Athletics and its multimedia rightsholder, Learfield’s Gopher Sports Properties, announced today the return of the “Great Gopher Boat Giveaway Sweepstakes” presented by Alumacraft. The online sweeps is open through Saturday, March 2, 2019 for eligible fans. This marks the second year of Alumacraft’s corporate partnership and boat giveaway with the Gophers, but first to offer a fully customized boat branded with University of Minnesota marks and logos. The sweepstakes is open now yet limited to one entry per entrant per day. Eligible entrants are ages 18 and older living in Minnesota, North Dakota, South Dakota, Iowa and Wisconsin. The one grand prize package consists of a new Alumacraft boat, trailer, motor, trolling motor and electronics valued at $40,000. After the sweepstakes entry period closes at Noon CST on March 2, one grand prize winner will be selected. That winner must claim the prize package in person at the Northwest Sports Show at the Minneapolis Convention Center, March 21-24, 2019. Fans can enter to win and review all contest rules and criteria by visiting the following website: www.gophersports.com/alumacraft. The Great Gopher Boat Giveaway winner will take home the grand prize boat package (the Gophers’ customization is optional), as well as the choice of two football or men’s hockey season tickets and a parking pass for the 2019-20 season. Through its relationship with Gopher Athletics, Alumacraft receives brand exposure during football and men’s hockey seasons with in-venue signage, gameday displays, social media and digital promotion, and inclusion on coach’s shows and game broadcasts on the statewide Gopher Radio Network. Alumacraft employs more than 200 workers to design, build and market aluminum boat models ranging from 10 – 21 feet. The 72-year-old company is part of the BRP Marine Group and operates two manufacturing facilities located in St. Peter, Minn. and Arkadelphia, Ark. Alumacraft boats are available at authorized Alumacraft dealerships nationwide. For more information, visit http://alumacraft.com. An industry leader for more than four decades, Learfield has a deep presence in the college athletics landscape nationwide. In addition to Minnesota, it manages the multimedia and sponsorship rights for nearly 130 collegiate institutions, conferences and arenas, and supports athletic departments at all competitive levels as title sponsor of the prestigious Learfield Directors’ Cup. Learfield also provides its collegiate partners access to professional concessions and ticket sales; licensing and trademark consulting; digital and social platform expertise; and venue and technology systems through its affiliated companies.